The Best Western Plus Vineyard Inn is ideally located in the center of Livermore. Come and experience our hotel near the major tourist attractions. Best price guaranteed and exclusive deals. Get a delightful welcome to wine country in this Livermore hotel that offers a comfortable mix of work and leisure space in our newly updated rooms. If you're here to visit the wineries and find your next favorite pinot or a guest attending one of the numerous weddings in the area, rest assured we've got you covered. This perfect Livermore hotel is also affordable and provides plenty of extra perks. We are a short drive from over 50 wineries, so prep your palate and pace yourself. If golf is your game, an afternoon on the greens is splendid beneath the California sunshine. With Lawrence Livermore and Sandia National Laboratories less than a mile as well as the PG&E Livermore Training Center only minutes away, the professional travelers will find our location very convenient. Play - is a pretty broad term, but no matter what your passion you'll be delighted at what's in the neighborhood. A very friendly and accommodating staff is happy to help you plan the perfect escape. Spend your days shopping at Paragon Outlet Mall, practicing your swing at Wente and Poppy Ridge golf courses or enjoying the famous Honey and Wine Festival. Every room features 42-inch flat screen TV's with over 150 channels including eight premium channels. Our spacious pool has a privacy stucco wall for sunbathing in comfort. Our hotel uses 100% solar energy, making us a top tier eco-friendly hotel. Breakfast is complimentary and includes hot waffles, eggs, fresh fruits, cereals, yogurt and 100% Arabica coffee to start your morning off right. The welcoming staff is known for providing the best, most personal service in town. From the moment you're greeted at this Livermore hotel until your farewell, enjoy an unbeatable stay near the vineyards. Reserve your room at Best Western Plus Vineyard Inn for the stay of a lifetime! "Helpful Staff & Would Stay Here Again"
Housekeeping staff very helpful. Our stay a this hotel was very comfortable. This hotel is nicely decorated and I would recommend it to anyone visiting Livermore. The breakfast staff, Robinette, would cheerfully greet you in the morning and kept the breakfast area fully stocked as well as clean. "Most Accommodating and Friendly Staff"
First time in Best Western Plus Vineyard Inn - Livermore - Staffs are very helpful for what you need especially ROBINETTE she's kept the food replenished / very clean facility / room are very clean and smell fresh. "Most Accommodating and Gracious Staff"
Our family traveled from Indiana to Livermore, California to attend a wedding. Rooms were blocked for family to make reservations for their stay. The check-in was smooth and easy, the staff was awesome. The housekeeping ladies were amazing. I have stayed at this property many times and as soon I arrive, everything is eay. Check-in always has been quick, smooth process. And it's nice to know that the hotel will be clean and well kept (the grounds as well as the entrance and lobby). Nice, good-sized rooms with small fridge and a microwave. Comfortable beds. Good cable TV and WiFi. The staff has never been anything other than friendly and willing to help with anything (maps or directions or?). Then, check-out will be even easier than check-in. All this and for a reasonable rate! Thank you to everyone for making it all so easy! I'll be back. I call to reserve rooms for staff staying in the area and every-time I call, I have the pleasure speaking with Priscilla at the front desk, she is always kind and polite even when I'm being annoying adding/canceling reservations multiple times during a weeks time. This last time I finally got to speak with the manager Debra and she was just as pleasant to communicate with. This hotels staff is amazing and look forward to booking more rooms in the future with the positive friendly staff. The hotel personnel was outstanding especially Kaitlyn Lamb. I forgot my wallet when I checked out, she assisted me, found the wallet and mailed it to me. I cannot say enough good things about the courteous manner in which all of the personnel treated me during my stay and again, especially.... Ms. Lamb!!! I would recommend this hotel for it's location, cleaniness and of course the great service!!!!!! I stayed here the night before a meeting at LLNL. Very convenient location for that, and a quiet location. It is just what I wanted. But, if you are looking for a more exciting location, go to a hotel further to the west, near shopping malls, closer to downtown. The front desk attendant was very helpful and quick. Room was clean and nice. The breakfast was typical of other Best Westerns - it's food, but not anything special. I would definitely stay here again. "Comfortable bed, clean, good value." We had a room with two queen beds. Beds were comfortable with clean white sheets and bedspread. There were two chairs, a table, tv stand, and nightstand. Microwave, iron, ironing board. Shower and toilet in bathroom, sink and mirror in sleeping area. Small closet that had a clothes hangar bar that was front to back of closet instead of side to side (you could only see the front item that was hung in closet). The shower/tub had a shower curtain with a curved shower bar so that there was more room in the shower. The shower head was too high for me to reach (I'm 5'4”), so I couldn't adjust the spray. I'm glad I didn't need to wash my hair because the spray wasn't that strong (my hair is thick and takes a lot of water to rinse), plus the spray was angled towards wall so that my shoulder touched the wall when I rinsed off. I didn't examine the room for flaws or hunt for lack of cleanliness, but it smelled and looked clean. The breakfast had scrambled eggs, sausage, waffles, yogurt, packaged pastries, etc. (the selections vary). The hotel was easy to find, plenty of parking. To get to rooms, you need to go through lobby. Inexpensive compared to other hotels I looked at nearby. I would stay there again. Also, our room faced the freeway, but I didn't notice the noise. Thank you MDSinCA Thank you for your review and the details that will help us in our continuing efforts in providing all our guests with outstanding customer service and enjoyable stay. We hope to accommodate you as our guest in the very near future. I stayed at this hotel for a few days and I must say I was quite impressed with how well the customer service was. I was especially impressed with the breakfast and how well it was. Carita was there during my stay and was extremely helpful with making sure everything was stocked and freshly prepared. It was a great way to get my day started. She was pleasant and you can tell she cared. I have stayed and many best westerns and this was by far one of the greatest in terms of customer service. Thank you for the great service, I'll be coming back. Thank you for your time and consideration to let us know what you liked about our hotel. Carita definitely cares about people and I will make sure that she has read your review. We look forward to seeing you on your next visit! I really enjoyed my stay at Best Western in Livermore it was extremely friendly and accommodating to my 9 month old baby girl as well as myself the service there is amazing with all their amenities they always make me feel welcome and accommodate all my needs I extremely enjoy their breakfast the dining area is always keep extremely clean and neat everything always has its own place keeping within the five food groups they always have a wide variety of healthy choices and options it was unfortunate that we were not able to have the pleasure of being graced with the presence of Carita who is always here when we stay here. Carita is a grate aspect to Best Western her smile and friendly inviting face as well as personality lights up not only the dining area but the entire place. The continental breakfast made a good stay great! Robinette was very attentive and friendly. Food offered was a good variety and hot and fresh. Robinette kept the food replenished and the dining room tidy. My room was nice. I had a problem with the tv and the cable connection when I first arrived but the housekeeping staff was very helpful and fixed it right away. I slept well - comfy bed and bedding. Will stay again when visiting my daughter who lives in the area. Air conditioning worked really well. When I woke up a little late I ran down stairs to eat but all the food was being put away already but the lady their named Robinetle (I believe) made me sausage and waffles even though I was late and was very nice to me. The room was excellent, we loved the whirlpool in the room! Special shout out to the Hotel clerk Curtis Brandon. He was a great help at calling me before i got there to inform me about a lack of hot water situation in the room I really wanted. He got maintenance to fix it before I got there. Real cool dude. I will stay again soon! Peace. This is for the 2 wonderful attendants in the dinning area. Breakfast was great on Saturday and Sunday thumbs up to Carita and Robinette they are a great team. Thank you ladies for starting are days off with a great breakfast. We appreciate your taking time to share your experiences here. So happy you enjoyed your breakfast, an important factor in almost every guest's stay. I will be sure to have Carita and Robinette read your review. What A super great breakfast, everything was very good scramble eggs sauage waffles, different toppings for yogurt and for waffles,coffee was excellent and available 24/7. The attendant Carita was super nice and very helpful with are trip to san francsco thank you for your service and your advice was perfect. Best Western in livermore has it going on. Thank you for your comments, we always appreciate a guest taking their time to give us helpful insight into their stay. I will be sure to pass you compliments to Carita. Hope to see you again in the near future. Thank you for taking the time to comment on your experience here. We love to see when a staff member goes out of their way to assist one of our valued guests. I will be sure to pass on your compliment to Robinette. Thank you also for being a loyal guest, we look forward to seeing you again soon. The hotel is clean & updated. Breakfast was surprisingly good with lots of choies. Room clean & and adequate with updated bath.Not close to shopping or restaurants. Wineries are a short distance. Right off of 580 but if you close window you can't hear traffic at all. So happy to hear you enjoyed your stay. Our newly remodeled, "spa-like" bathrooms have been really well received. Sorry that there aren't many stores or restaurants right near us but there are many to chose from nearby and we can make suggestions for affordable, convenient modes of transportation if needed. Hope to see you again! I'm so glad I stayed at BWP instead of Laquinta Inn which is where my other kids were staying and ex. My room was very clean and in general the whole hotel was awesome and very very clean. Saved the best for last, breakfast was awesome and very filling. Robinette was nice enough to make my family rice since were visiting from Hawai'i. She even made more fresh eggs and bacon for us. She made it that much more enjoyable and wanting to return when I visit my son and his new bride. Mahalo and Aloha!?????????? What a nice experience you had with Robinette, thank you so much for sharing it! I am proud of a staff that strives to give guests the best possible experience and to go above and beyond when they see a need. We look forward to seeing you in the future.. Thanks again. Great rooms, reasonable prices. All needs met including Advil in the morning. Breakfast ok. Pool and despite highway location the rooms are silent! I highly recommend if you just need a place to sleep. Clean! Thank you for your positive comments. Hope we will see you again in the future. Todd and i enjoyed our stay this past weekend, our room was very comfy and jacuzzi was perfect. breakfast was extremly great and the attendant Carita was very nice and helpful assiting me with a tray to take breakfast back to our room it was busy morning and it seem to be full in the eating area. thanks again for a pleasant stay and great breakfast. Thank you for taking the time to write about your recent stay with us. So happy to hear that you enjoyed yourselves and I will be sure to pass on your compliments to Carita. We work hard at creating the best possible experiences for our guests and it is so nice of you to acknowledge her effort, it means a lot. Thanks again and we hope to see you soon. Stayed here three nights, and overall pretty happy. Comfy bed, but bright lights from the parking lot made for an okay nights sleep. Big stains on the couch and overpowering smell of some kind of air freshener on checkin, opening the window for a few hours helped, but didn't eliminate smell. Pretty good breakfast on offer the next morning. Free wifi, but had to call a 1-800 number to get them to manually add us to the network. Definitely need a car for this location, not handy to walk anywhere. Like I said, we were happy enough, but knew where we had booked and why. "Wedding Party, Excellent Customer Service, Pool, Breakfast, Clean"
Two night stay. Clean, comfortable beds, very nice rain shower. Excellent front desk, let us check in early, changed room because we wanted a tub not just a shower, they have both configurations. Pool is clean, heated and fabulous. Free Breakfast Buffet was better than expected, very good. Fresh coffee, eggs, waffles, granola, yogurt, more. Robinette worked the breakfast room, very early.She set up tables, and as an early riser I was first one at breakfast. She ran over to make sure my table was clean and told me to let her know if I needed anything. She was working alone and with a lot of wedding guests and other guests crowding in, she managed to keep everything clean and restocked. So Thank you to Robinette, Very nice lady. Would definitely stay again. Such a nice review, so glad you enjoyed your stay. Our wedding block guests have a special place in our hearts. We know that the bride and the groom have entrusted to be a part of their special event and we appreciate that. I will pass on your comments to Robinette, who I agree puts on a very nice breakfast and is definately easy to talk to! Hope you'll stay with us in the future, a weekend of local wine tasting perhaps? Pleasant stay, clean rooms and great breakfast. Coffee is excellent. Staff very friendly, pool area was clean and water was warm. Only issue was a difficult tv remote and no list of local channels. Good sized rooms, close to freeway but heard little traffic. Great air conditioner! Thank you for staying with us and for letting us know what you enjoyed. You may be happy to hear that all of our rooms will be getting more "user friendly" 43" T.V.s within the next few weeks. I come out to California once or twice a year and stay at this hotel. Robinette prepares an excellent breakfast! Good food, friendly demeanor, and she keeps things neat and tidy. Thanks for getting my day started ! We love to hear from our loyal, repeat guests. I will pass on your comments to Robinette. She is a genuinely nice person who takes her job to heart. See you on your next trip! Thank you. Stayed for 1 night while attending a wedding in Livermore. The hotel was partially under renovation while we stayed, and I could tell that the upgrades to the hallways (new carpeting and wallpaper) were going to look very nice once completed. We stayed in a double queen room, and while the room wasn't overly spacious, it served it's purpose for 1 night. The shower area of the bathroom was upgraded & worked well. The room was quite humid when the A/C was off, but the A/C was extremely powerful when on, so that kept us comfortable. The pillows were nice, but the mattresses were a little firmer than I prefer. The mini-fridge in the room was also useful. My one complaint about the room was the lack of insulation from noise. We could clearly hear every word spoken in the room next to us as well as every sound from the adjacent television. The same was true if people were speaking in the hallway. Thankfully, our neighbors were extremely quiet late at night, so this did not affect sleep quality, but if we had stayed next to loud guests, this would have been a huge issue. Overall, we had a pleasant short stay and would consider this hotel if we are ever in the Livermore area again. Hello Adventure 314, We want to thank you for posting your review an we are so happy that your enjoyed your stay. Yes! Our corridor wallpaper project is almost complete, as well as our brand new carpet. Our hotel is reaching the final stages of an entire remodel, in the common areas and the guest rooms. We certainly hope to see you again, when you are in the Livermore area. It was a routine stop at this hotel. The room was nice, staff helped out when cashing dollars to get quarters for laundry. The thing that impressed me the most about this place before i was going to rate it average was the staff. We told the staff when we arrived that we were going to miss breakfast because we were leaving early. She commented that she would make breakfast to go bags for us and we would just need to come pick up them up at the front desk. However, we did not go down to get them as things happen. A knock on our room door and it was the front desk staff delilvering 4 breakfast to go bags for us. What great service!! that is above the bar! "Quiet, Well Appointed, and Convenient"
This inn is in an office park area, right off the freeway, but is still quiet, lovely, and a very safe area. It is convenient to restaurants, shops, and wineries, but a few blocks off the main drag through town. Breakfast was much better than average, and the inn is exceptionally well appointed. The beds a super comfortable, and everything is very clean and well maintained. The staff is friendly and fine, but most are not quite first rate in their field yet. We would definitely stay here again if we were in the area. The purpose of our trip was to use the heated pool on a hot weekend. When we arrived the pool was freezing, apparently the heater had been "on the fritz" for a while. The clerk said she would contact the manager to get access to the heater. The next morning the heater was still not working. The pool temperature was 72 degrees, which is much too cold for our infant, cold enough to cause hypothermia. She said she would contact the pool repair company, but it would be a couple of hours before they could come, and then it would take a couple of hours for the pool to heat up. She said she would call up to the room to let us know about the pool repair. To try to salvage the trip, we asked if we could extend our checkout to 5pm, to give us a chance to give the baby a nap, and visit some other area public pools after they opened. We were told that they would have to charge us an extra night if we stayed past 2pm. I asked for a refund, or two free nights in the future, since we booked two rooms. She said she would speak to the manager, and that they usually offer 50% off the next stay. When she called back to the room later, she stated that she stuck her whole arm into the pool, and that it was "not that cold, actually refreshing". I explained that it was much too cold for our infant. We left, and never heard anything else about a future discount. Not that we would use it, we won't be staying there again. Jerry, After reading your review I felt the need to respond to you personally, even though my assistant has already done so. I want to assure you that the pool had not been the fritz for a while" We consider the working order of our facilities as extremely important and, whenever possible, make it our priority to remedy any situation immediately. We have a contract with a professional pool company that maintains the pool and all related equipment on a regular schedule. The owner of the company was here personally on the Thursday before your stay and found everything to be in working order. We had no idea that the heater wasn't working until it was reported to us. As soon as I heard about the situation I called the pool company whose owner was unfortunately out of town. He did spend about 15 minutes on the phone with me trying to troubleshoot but to no avail. He came as soon as he returned and had the heater working within 2 hours. I apologize for all these details and I know this flood of information will not bring much satisfaction to you since the repair wasn't done in time for you to enjoy the pool. Again, I want you to know that this wasn't just some little problem to us that we just chose to ignore. We think too highly of our guests to demonstrate such apathy. I understand that you had your adorable baby with you and you were excited about being able to spend time with your family in the pool. We completely understand how disappointing that must have been. My assistant feels especially bad that she didn't realize the difference between a temperature when it is in water and the air. I know that she offered you 50% off a future stay but we would like to change that to a complimentary night instead. On ANY NIGHT OF YOUR CHOICE, simply call the hotel, mention this offer, and then bring a copy of this email when you check in. We hope to see you again soon. The inn is close to the freeway but very quiet. The staff is friendly and helpful. Robinette kept the breakfast area well stocked. The only thing I had a problem with is are room being cleaned in a timely manner on some of the days we were there. This was both a business and pleasure trip. Will stay here again, since it is only 5 minutes from family. "Nice property, Nice Pool, Great Waffle Bar"
I enjoyed a remodeled room, Great shower - full sized shower that had a spray / jet shower head. Breakfast is a great, two types of eggs. Waffle station is excellently stocked. Pool is well maintained. We stayed for 2 nights and enjoyed the stay. The room was quiet and the staff was quick to provide a roll-away bed when we requested it. We also enjoyed that there was breakfast available. Would stay here again. We have stayed here several times and have noticed the place keeps getting nicer and feels fresh and modern. We enjoyed the cheerful staff that made an effort to ask us how we are enjoying our stay and if we needed anything! We appreciate this kind of customer service and Robinette did a great job with a fully stocked breakfast area and her friendly personality. We will stay here again! Hello msjodyprice, Thank you for your stay and your feedback! We're glad that your stay was pleasant and that you enjoyed our hotel and staff. We take pride in all that we do and are glad that you were able to experience the superior guest service that we try to provide all of our guests. We hope to see you again very soon. "Dirty rooms not ready at advertised check in time." Room wasn't ready st 3:00pm. Was late to my event because I was unable to check in when I arrived. Room had a funky odor. Only positive was the location, close to local wineries and a quick Lift ride to downtown. Dear tfanks, Thank you so much for taking the time to post your review. We do apologize for the delay at check in as we had many early check ins that morning. Thank you also for letting us know about your room. It could have been the brand new carpet we have installed in each of our guest rooms but we will definitely check into it. You are correct in saying that we are in the Livermore wine country and we do hope you give us another opportunity to provide you with an enjoyable and comfortable stay. Stopped here for one night during a Californian road trip. Room was clean and adequate, breakfast ok. The only problem which isn't the fault of the hotel as i probably should have researched it more before booking is it's location. It's situated quite some distance from Livermore and there is nothing, certainly within walking distance nearby. It's sandwiched between an interstate highway and an industrial estate. The view from the room which we were allocated at the back of the hotel was of the interstate. We had concerns about noise but it wasn't a problem. In view of it's location we thought it overpriced. Hello Ronnyb54, We are happy you enjoyed your stay with us and thank you for posting your review. Yes. We are conveniently right off the freeway in Livermore. Only minutes away from the 50 or more wineries and downtown Livermore. We have many amazing restaurants that are close to the Bankhead Theater, for live performances. We hope to see you again when you are again in the Livermore area. "The breakfast is delicious Great variety of foods." The service was outstanding. We asked for plates and forks after hours. My son forgot his tooth brush . They provided toothbrush and tooth paste. Above and beyond. It was convenient to Dublin to catch the bart. We did not have to deal with parking in San Francisco. Thank you Robinelle for your great hospitality. Thank you for such a pleasant review. I will be sure to let Robinette know that you appreciated her guest service. We look forward to having you back again in the future! "planned to say two nights ended up staying five nights!!" fitness center, wholesome breakfast choices, nice ground-floor room #115 - charming and helpful staff: Robinette and Freda prepared our breakfast; Curtis at the night-time front desk is a fine young fellow with a good head on his shoulders. Rochelle, Shelly and Debbie were awesome too. i had the pleasure of interacting with these folks at various times during my stay - extending nights (working with me on room rates etc), remaking room keys, printing business docs. missed the pool - closed for the season. Gary, It was an absolute pleasure having you both as our guests! Thank you for your positive review and we are happy you had a good experience with us. 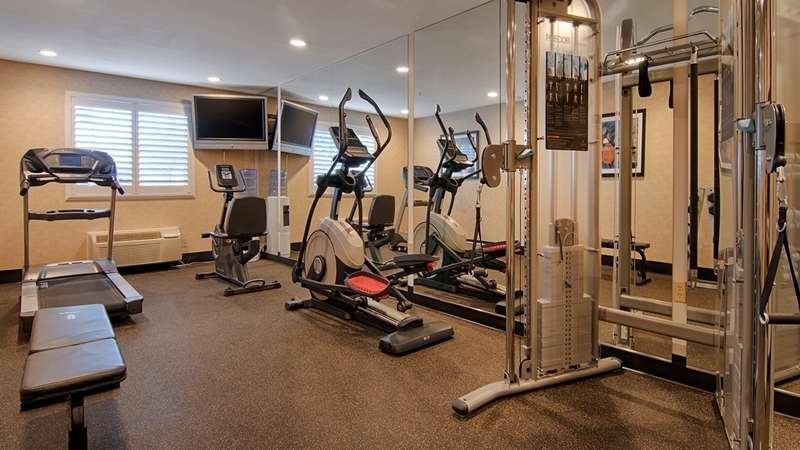 You were so close to our fully equipped fitness room - which we are glad you made full use of. Yes. Our seasonal pool will be reopening soon - weather dependent. We hope to see you back very soon! Everything was so clean and all of of the employees were so nice. I really enjoyed the complementary breakfast and Robinette made sure to keep everything fresh and stocked. Overall, a great experience! Thanks for taking the time to share your positive experience with us. I am passing on your comment to Robinette whom I'm sure will appreciate it. Hotel is clean, and quiet and night. The employees make this hotel. They are always helpfull and positive.housekeeping is always helpfull, and curtious.breakfast is fresh. And their are lots of choices rangeing from yogurt to fresh fruit, to almond milk. Etc. Theres everything!!!! I made a bagel and creamcheese ,i forgot it at the table. Fortunely, chaka saw i had forgot it, made a fresh one for me , wrapped it in plastic, and delievered it to my room.now thats extra service. Hello CA, We appreciate you taking the time to post your positive review and thank you so much for mentioning our employee, Carita. She is very committed to providing outstanding customer service to her breakfast guests. We hope you enjoyed our hot, complimentary breakfast that offers our guests a wide array of choices. We hope to have another opportunity to have you as our guest when you are in the Livermore area. I spent the night in room 301 and Shelly from the front desk was very nice and helpful it was clean quiet. As a room you couldn't ask for more. Then in the morning I went to breakfast and the lady there Roinette, served a very scrumptious breakfast and was very kind and made me feel welcome. Checked in last minute because was driving back to Washington and wanted to rest me and my 2 children , Rozelia checked us in she was very sweet gave both my kids juice and fruit snacks she was awesome , I couldn't figure tv out so she came up not once but twice and showed me how to program tv after I messed it up the first time she showed me and she was happy to do so , we had 2 beds same price as 1 , beds were comfortable full breakfast included in the morning was very clean if your in Livermore this best western is family friendly. I called and arranged the room. Then I called again to add a roll away bed for a guest. The lady replied I'll just put you in a double at no additional rate. I appreciate that. The room was nice, good location even though it was near the freeway. The room as as quiet as any room, no road noise at all. The room is well appointed. The closet is tiny and has stuff stored in it, the lighting was very good too. Went to breakfast, good assortment of hot and cold items. I met Robinette Marino who was taking care of the breakfast area. Very nice lady helped me with my waffle and helped me with some questions I had. Thank you all. The only thing I missed was a hot tub. Amazing from start was greeted by Rosella who I spoke to prior to arrival wow was she nice and welcoming ! Told us about the area and gave us a local map of all the restaurants and attractions in the area mostly winerys, the bed was so comfortable not to hard like most beds , amazing staff when we are in town we will definitely return thank you Best Western. "What is there in Livermore?" I called the morning that I was arriving to see if I could check in early and was able to do so without any problem. Thank you very much for that! Check in was easy. I am a BW Rewards member and stay at Best Western frequently while traveling. I particularly appreciate the breakfast that is included; it is a nice perk.The location is good here. You can get downtown in a matter of minutes. There is a lot going on in downtown Livermore. I had no idea. Lots of places to eat and drink. Hotel was impressively clean and well maintained. The breakfast was very good with plenty of variety. Robinette provided excellent customer service and made sure everyone was comfortable.. Great job Robinette! "Generally great service... but failed this time." Had issue during this stay. Reported broken coffee maker to desk clerk immediately upon checking in. Returned late that same night/next morning and the coffee maker had not been changed out. Therefore I have to give a terrible Service rating for this stay. This review is strictly for the service I received. The hotel is great otherwise. "Great personnel, very inviting and helpful"
Passing though the Livermore area, we stopped for one night. The personnel at the front desk were extraordinary ( especially Rosella). We were given information on where to go in the very nice downtown area... many restaurants and free parking . . Also, I asked for some extra blankets and Rosella was very accommodating. The room was comfortable and clean and the price was right! Rosella!! She was awesome! Super friendly and had a great personality! She welcomed me and checked me in quickly! !The room was amazing and the tub was heaven! She is a great asset to the hotel! Just amazing! Tina, We are thrilled that your stay with us was amazing and that you enjoyed our suite with the jetted Jacuzzi tub! We hope we are able to accommodate you again very soon! Enjoyed our night's stay traveling from Northern Calif, to Southern Calif. Everything was great...bed, service and breakfast. Look forward to our next visit and trip. Price and quality was very good !! Patricia, We are so glad that you enjoyed your stay on your way to Southern California. Our location is very conveniently close to two major highways. Thank you for your 5 Star review and we appreciate you taking the time to post your review. We hope to have you as a regular guest when you are traveling up and down the state. "Livermore has a nice downtown area with restaurants and shops. Many wineries in the area and relatively close to BART." The hotel provides a free hot breakfast in the morning and has hot beverages and juice available all the time which is nice. There is a laundry room, but the machines were out of order. The staff was friendly and helpful especially Robinette. The room was clean and comfortable, but some of the cleaning products used were floral scented. We requested that they not use those scented products and kept the window open, but then there's the problem of noise from passing trucks. There were two days that our room wasn't cleaned, but it could be that we weren't out of the room enough hours those days for them to get to us. This hotel is under staffed and not very pleasant. The shower door was broken, fortunately I was able to fix it myself with the Leatherman I had in my bag. The hotel is newly remodeled and very nice amenities. Not worth $140 per night in my opinion. I stayed here and I believe the rep was Rosella, what a unique name. I had a awesome Exsperence, rooms were beautiful the vineyard is amazing. I enjoyed every moment of my trip thanks to your staff. It was a lovely property. Will be returning with the family soon. Amina, Thank you so much for posting your 5 Star review of our hotel. We are happy you enjoyed our hotel and the amenities we offer. We have completely upgraded most of our hotel; including all the common areas, all the guest bathrooms and bedrooms. We hope you will visit us again when you are in the Livermore area. "Accommodations and staff were great"
We stopped over in Livermore and called BW to see if they had a room available. The lady on the phone was very nice and gave us easy to follow directions - she even asked if we had any trouble finding the motel when we got there. The two ladies at the reception desk couldn't be nicer - they were very helpful and gave us good ideas on where to eat. Our room was very clean and modern, and I was very pleased. Very good breakfast in the morning. I would definitely recommend this place and I would surely stay here again. Great experience staying there and the rates were reasonable. Thanks to the great staff!!!! "Clean room, but not for chemically sensitive ppl"
This hotel is clean and some of the hotel staff is very accommodating. I needed the room for one day and I chose this hotel because I like the Best Western chain of hotels. Before checking in I let the hotel front desk know that I suffer from asthma and severe allergies as well as multiple chemical sensitivity disorder. Curtis at the front desk offered to let me see the Rome before actually reserving the room . Which I thought was a very kind thing to do. The room was nice and had only a little smell of cleaning products, he opened the window for me and I decided to book the room. A few hours later I came back to the room and as soon as I opened the door I couldn't believe the horribly awful toxic smell that was in the room.I immediately called the front desk to ask them what happened to my room. They didn't have any answers as to why the room was sprayed with air freshener , but told me to go out of the too for awhile and see if the smell clears out. I sat in my car for 2 hours and when I returned the smell was still there. Neeedless to say I wasn't able to stay in the room. I went to the front desk to let them know I wasn't going to be able to keep the room and asked for a refund since I never got to stay in the room for more then 3 minutes. The girl at the front desk told she couldn't give me a refund because the room was booked the same day. I asked her if I could get a partial refund since I wasn't able to stay in the room for more then 3 minutes and she said the hotel wouldn't be able to rent the room and it had already made its money from me for that day ?? !! She did offer me and new room but it I turned it down because it would probably have been the same situation and it was getting late and I needed to leave to make other arrangements for the night. I left pretty upset. But the next day I called and spoke to Shelly who by the way was very compassionate and understood where I was coming from . She apologized profusely for the other girls error in poor customer service . She gave me half my money back and offered me extra reward points . Which is better then nothing . I would have preferd a full refund . But at least she was kind and made me feel like she cared about my very unique situation . I really like Best Western as a whole. And I'd like to say a BIG thank you to Curtis and Shelly for your outstanding customer service . Receptionist Rosella was polite at check in gave me a map and restaurant recommendations. Needed more soap in the room and thicker rug in bathroom fairly thin. Good stay overall. If your ever in the Livermore area don't be shy to stop by this hotel is very welcoming. Hello Fun, Thank you for staying with us and we are happy you enjoyed your experience at our hotel. Also, we thank you for mentioning our recent upgrades in all our common areas and the guest rooms. We appreciate Robinette's talents with providing our complimentary full breakfasts as well as her customer service. We hope to see you again in the Livermore area very soon! Stayed at this best western one night after a raiders game , smelled fresh when I walked in even tho it was late at night checked in with Rosella she was super cool and nice told me about the movie theaters with the lazy boy chairs downtown Livermore my girl was super stoked ! Was only 1 set of towels when we checked in she brought us more , the breakfast was OK but the breakfast lady was very nice and attentive not many things in the area to eat but was a nice hotel nice staff nice room. "Great Hotel great visit "
I? enjoyed my time at the Best western Plus the beds were super comfy a great price. I? also liked the location and the front desk person Rosella was Amazing she helped make are vacation something to remember I? will be referring this hotel to all my friends and family members thank you. "Thank You For Excellent Service Carita Hunter "
Our families breakfast experience was top notch fresh eggs and danishes, waffles and fruit to go with it. Such hospitality was shown from a very courteous Ms Carita we truly appreciate your service! You made our day we wish a very happy thank you completely...! Located very close to a business delivery area and the highway. It is very noisy especially in the very early morning hours. I spent 4 days there on business. My room was located at the second floor, and housekeeping wasn't done half the time!... Bed not made, trash not taken away, but towels were taken and not replaced, despite my hanging them for reuse... Front desk staff very friendly and pro. Housekeeping provide terrible service. Checked in late and Roselia she made me feel very welcome with her kindness and did an exceptional job checking me in!!! Full breakfast in the morning beds and pillows were amazing! Only down part was you can hear the freeway from your room but besides that everything was superb. The room was very nice and the breakfast was very good for a slow time. The only negative is that the air conditioner thermostats don't seem to work, and the room keeps getting colder. That is why I rated the sleep quality as average. Everything else was great. "The best customer service ever "
After a long a stressful night of having to evacuate my home, I checked into this hotel and the receptionist Rosella was great. She saw how frustrated I was, greeted me and my husband with the utmost respect, was very professional, and checked me in with no hassle. I love how serious she takes her role, I'm not a fan of staying in hotels because of horrible customer service. Rosella changed my opinion , if I ever had to leave my home again or just wanted to get away I wouldn't hesitate to revisit especially if I'm able to work with her. Wow ! Last time I stayed here I believe it was a ramada or laquinta. The lobby and breakfast area has been renovated and looks fantastic ! Soon as I walked in the hotel it smelled amazing, Rosella gave me a map of the area with all that livermore has to offer she was a nice girl very knowledgeable. The updates added a great touch to the hotel. Needed more towels in my room but the bed made up for it very comfortable i will recommend family and friends god bless. "Busy hotel during the week "
was amazing ! Breakfast was served early as 6 am. Fitness center on site very convenient. Stayed at the best western one night due to them being booked all week long I wish could have stayed longer should have booked in advance. Nice staff rosella ! As I came to this hotel I notice their was no where close to get a bite to eat. A dining establishment was about 1.7 miles away not in walking distance. I had to make do. The uber took around 15 minutes to come and pick me up , I just had to make dew. "Thank you from film crew! " Had to shoot a production commercial in the livermore area let me first say all the staff was amazing everyone went above and beyond to help and accomodate us special thanks to debrah the manager for the amazing help she was extreamly helpful . Rozella and Curtis were very nice and welcoming during our stay special thank you best western . Hot breakfast included ?? Breakfast is served 6-10. Scrambled eggs and make your own waffle. I liked the yogurt with granola on top. There's fruit, cereal and breads available. We arrived early and were lucky enough to check- in to a very clean room that is spacious with a king bed and couch. Bathroom is shower only. The heater/AC is too loud. Pretty nice for best western , all staff extremely helpful and pleasant. Rosella was nice during checking me in gave me a map of the area , during breakfast the breakfast attendant was extremely attentive and caring she was asking everyone if they were ok and if they needed anything , I thought that was amazing will visit always when in the area . Wish didn't have to sign pool towel out kind of a hassle. "Bestwestern is the best "
"Worst customer service, skip this one!" Standard hotel, rooms are basic BW, but the staff will make things impossible, not follow through, double charge you without your knowledge and not provide receipt, and then verbally berate you until you just leave. All I can say is go to any other property. second time staying there stood 4 days with a bunch of co workers had a good stay 3 out of 4 my room was clean the last day was dirty but because had a different house keeper. But my regular house keeper apologized and gave me a set of towels so was thankful for that. Ask for joann's floor you won't regret it always helpful. Hopefully next time all have a clean room on my last day. Good service always a great stay. Had a dirty room last couple of times but went to 3rd floor and had great service with house keeper JoAnn and had a problem with my TV a couple of times and sabas was good enough to fix it so thanks to best Western for the stay. Good location to freeway, vineyards and just a short easy drive into the downtown area. Rooms are clean, beds are comfortable. Staff is friendly and helpful. Breakfast isn't anything to write home about! Lots of good restaurants in town. Location was perfect. Right off the freeway. Close to Wedding at Poppy Ridge golf course. Close to Downtown Livermore and a fabulous Bocci ball Restaurant. The kids even enjoyed the pool after our wedding celebration. This hotel is conveniently located, the service staff was excellent, the rooms spacious, clean and quiet. There were 2 things that were off though. The breakfast the first day was frozen eggs (in the warmer, the eggs were so cold that they were ice in my mouth), sausage not fully cooked, the yogurt was expired by 2 weeks. The pool was freezing and no hot tub but totally not the hotel's fault just my fault for not researching. I have stayed at this hotel twice, and have been very pleased. The hotel is very new, in excellent condition, and the staff does a great job to make you feel welcome. This is my "go to" motel for the East Bay. Checked in late at night last minute booking for work Rosella checked me in she was very nice and professional I was tired she got me in fast gave me a run down of the hotel and I was off to my room , if I'm stationed in Livermore again will return. I stayed here a few weeks ago customer service at the front was amazing! Rosella was a great help in helping me with things to do in the area with my family in the area. Also I recieved a call shortly after from Rosella after we got settled in our room to make sure everything was going well and if we needed anything! Great hotel if you are looking for a safe and friendly stay! "Amazing front desk staff and I LOVE THIS HOTEL!!!" I really appreciate how Curtis has gone above and beyond the call of duty to make sure that my stay here at the Best Western Plus Vineyard Inn is a overall fun experience. Curtis I feel is a really bug asset to the Best Western Team and I love his personality as well as the way he carries himself as a young man. If he hasn't already gotten a raise he should because is really an amazing guy! "great location and fun staff"
Great hotel. Clean in and out! From checking in to checking out I had no problems. With breakfast onsite, it made it less stressful for me to get up earlier and find a place for my son to get a quick bite before his game. Front desk was very nice and friendly. Front desk was nice and friendly. Only one negative... Not enough towels in bathroom. One wash cloth for two, spoke with housekeeper who said she'd be right there and never came. The ladies taking care of the breakfast bar ARE the real MVP!! They went above and beyond to ensure everything with quickly refilled. My group and I enjoyed our breakfast. Curtis at the check in counter has such a great personality and definitely eased the check in process. He made us feel welcome and he recognized my mom from a previous stay and that's great customer service. My entourage and I are happy we stayed here. Love best western always have a great stay. House keepers always have rooms clean when i return to room so thanks to evelyn for for the clean room appreciate it. Love the changed sheets with out asking for them shes very sweet and always ask if i need anything else. A pleasant, well-maintained facility in a convenient-to-the-freeway location (but no discernible noise from traffic). Unfortunately, the desk clerk was overwhelmed and it took 30 minutes to get checked in. But she did the best she could under the circumstances. The room was nice; the breakfast was very adequate. Overall, a good experience, and we will return again. "Clean and easy access to"
I thought this was a new hotel since is smelled very clean and new. I found out it's been renovated. Easy to get to and easy to get out of. Plenty of parking. Good breakfast. Nice views and in an area that doesn't get a lot of traffic. I highly recommend over the other hotels in the area. The room was spacious, the breakfast was hot and freshly cooked, and the hotel was nice. I definitely prefer it to the other options available. Internet was acceptable speed. Staff was nice and no major issues. This little hidden hotel behind the freeway, has the best, friendly and courtesy staff more then allot of hotels I have stayed at over the past 10 years. A couple years ago this hotel went through a complete make over, so inside and outside are in great condition. I stay there through the construction make over and even then I have a very pleasant experience. 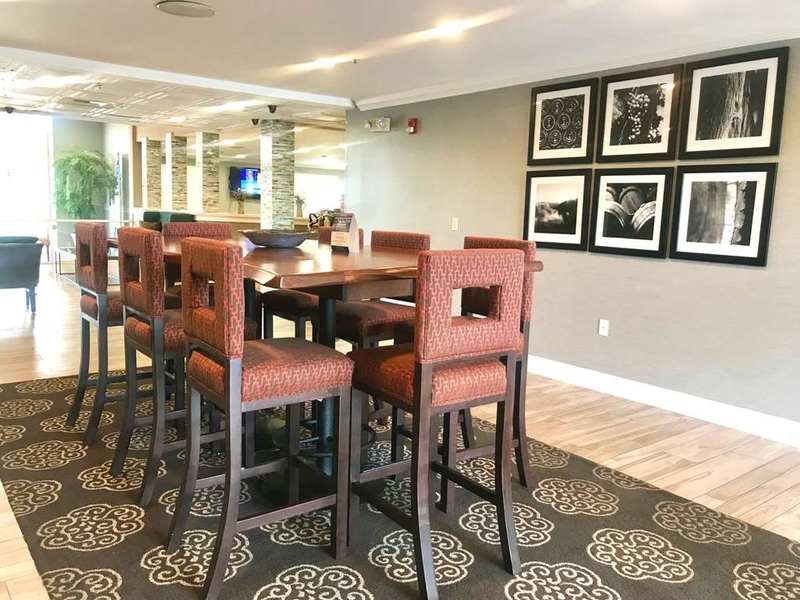 Most of the hotels I stay at it is there mission to give the customer the best experience possible and this Best Western Plus is no exception to this rule. "neat room, friendly staff, nice breakfast"
positively surprised by the quality of the breakfast, room was big and interior decor was nice. Staff was ready to accomodate our needs and made our stay there a pleasant one. it is very convenient and price effective choice if you return from Yosemitee to SF and don't need to be in Frisco early in the morning. "Good, convenient choice for Livermore - especially for gluten free travelers"
We stayed here to be sure to see the partial eclipse, outside the Bay fog belt and were not disappointed. The room was clean and spacious. It had a microwave and fridge and good fast wifi. The breakfast was very good for gluten free travelers. It had scrambled eggs and sausage as well as gluten free cereal, fruit and yogurt. It was nice not to have to resort to our traveling stash of gluten free foods! Only odd thing: the TV was in a very strange state and needed the intervention of one of the staff to get it operable. It was surprisingly quiet being so close to the freeway. Room was clean, sheets were white! Breakfast was normal complimentary type food. Breakfast waffle was very good as always. Omelette was good as well. Room did have a very nice shower with glass doors. Staff was friendly. Checked in around 11:30pm and got a room on the first floor. I had to call the front desk immediately because they had music playing so loudly I could hear it in my room. Room was clean. No shampoo in the bathroom, but 4 bottles of conditioner, so small error. Breakfast was OK.
"convenient location for Livermore area"
Average Best Western, nice breakfast included. Housekeeping left a lot to be desired. In wall heat/air unit runs all of the time unless turned completely off, even with fan set to auto. No acknowledgement of Best Western Rewards membership by desk staff. Desk staff was pleasant. Comfortable rooms. Clean, friendly staff, great breakfast and very hospitable. The room was comfortable and well appointed. Felt like a new Best Western. First night I stayed in their suite and it was amazing so if you can upgrade I recommend it. Was completely surprised they had a room like this with a jacuzzi tub and kitchenette. In particular, Andrea at the front desk was awesome. Thank you for choosing Best Western Plus Vineyard Inn during for your accommodations during your difficult time. Our staff very much enjoyed meeting and helping you and we appreciate your comments regarding our staff, cleanliness and our breakfasts. We that in the future, we can accommodate you again, when you are in Livermore. Wishing best of luck and thank you for mentioning Andrea. We are very happy that her talents and personality are here at our front desk. Loved everything about this place! Dee Dee in the kitchen is wonderful! She was super helpful and very sweet about it. Curtis was a great help and very patient. Overall, everyone was great and the hotel is very nice and clean. Perfect rest after a 15 hour drive. "Best Western Plus Vineyard Inn, Livermore, CA"
This was a very nice place to stay. The staff was very attentive and helped us more than once. The location was ideal on the edge of Livermore. Very comfortable room and plenty of good parking. We would stay there again. I am a regular client here and will be back. Shelly is definitely a professional worker. I never fear spiders just snakes. Yes I was chased by one on Greenville road. Still have a picture of it. Still here. Have a blessed life. Hotel has, easy on and off access, to the freeway at the bottom of Altamont pass, but still remained quiet. There's a gas station/mini mart, 2 doors down. Reastraunts a couple miles, on an easy, frontage rd. Not much there , so the neighborhood is quiet. "Great Place to stay when going to Concerts at the Vineyards"
My family and I stayed here because we like Best Western Plus hotels. This particular hotel has been totally remodeled. There is beautiful tile throughout. The walk-in shower is amazing for a hotel. A refrigerator and microwave are provided in the room. The management in this hotel was outstanding. They made us feel as if we were friends rather than customers. They told us that this hotel is often used by wedding parties. Many couples to get married in the beautiful settings provided by the wineries in Livermore. Very cordial, cooperative and helpful staff; couldn't have managed all these arrangements without Debra. Nice breakfast, but with large groups in the breakfast area, it was sometimes a little crowded. Wonderful pool area. Close for everything we needed, including vineyard wedding. Curtis went above and beyond to make sure everything was being ran smoothly. If he isn't already a manager, he should be. The staff was very polite and helpful. They were very accomodating for our team needs. My only complaint is that the washing machine wasn't working. "Bitten by spider 4x on first night - Do not recommend - check bedding"
I would definitely not stayed ever again in BW. Bitten by a spider while sleeping 4x on my left leg on the first night. Leg was swollen by spider bite and had to wear a dress to wedding the next day, legs weren't looking pretty. Left hotel with 4 huge red spots that i am still taking care of. No thanks. Will not be returning again. Found the spider on the 2nd night and took it to the front desk. No refund or anything. Save money, go else where unless you want to wake up with spider bites. We were very happy with this hotel. The staff was professional, helpful & kind. Our only complaint would be size of closet in the room- which I heard are being updated? The hotel was clean, comfortable, nice breakfast. Hello Holly, We are always happy to hear from guests like yourself! Thank you for highly recommending our hotel and kind words about our staff and amenities. We strive to provide the best in customer service as well as enhanced amenities in order to meet the needs of today's travelers. Thank you again for your review and we look forward to welcoming you back should you ever find yourself in the Livermore area! Great hotel for a great price! Clean rooms, very friendly, helpful people running the front desk and breakfast area. Waffles, eggs, toast and muffins for breakfast. Really quiet area, but still close to downtown area maybe a 7 min drive to restaurants. Didn't hear any noises from the freeway. My only complaint would be the AC seemed a little loud (I'm a very light sleeper) definitely WILL stay here again when visiting Livermore. Nice and clean hotel, looks to be recently updated, Andrea at the front desk was very courteous and professional, and happy to answer any questions. Breakfast is available in the lobby every morning. Would definitely stay again. I have been using this hotel for business as well as friends coming to stay in town. If I need a break from everything I stay here. Shelly and all the front desk staff are always really nice and they know me by name just after a couple stays. Breakfast is always good and the rooms are very nice and clean. Hotel has been extensively renovated and it shows. New showers have replaced the old tub and shower. Service at breakfast was outstanding, as was Shelley at the front desk. Everyone is always welcoming and professional. We really take pride in our staff and their commitments to providing you with the experience you deserve, as our guest. Thank you so much for mentioning Shelly and all our recent upgrades. We hope to see you again when you return to the Livermore area! Stayed here for one night this past week. Friendly staff, clean hotel, safe neighborhood, great breakfast. I definitely recommend this hotel. Good value compared to other similar hotels in the area. Thanks! A very nice Best Western, I only needed an over night stay and the hotel was clean, quiet and the staff was friendly and helpful. They have a little fitness center, but is was properly air conditioned and I was able to get a nice run in. This is minor but I really appreciate that their fitness center allows you to turn off the lights if you don't need them on. I can't tell you how many hotels I go to were the lights are fixed and blinding. Jennifer, We are always happy to hear from guests like yourself! Thank you for highly recommending our hotel and kind words about our staff and amenities. We strive to provide the best in customer service as well as enhanced amenities in order to meet the needs of today's travelers. Thank you again for your review and we look forward to welcoming you back should you ever find yourself in the Livermore area in the future. I would recommend this hotel staff was very nice rooms were good all around good hotel. The weather was hot so we took a dip in the pool which was nice and clean and very refreshing. I would definitely stay here again. Thank you so for choosing Best Western Plus Vineyard Inn for your recent stay. Your feedback is greatly appreciated. We are glad to hear that you had a great experience at our property. Our #1 goal is to provide you with superior guest service with our amazing staff and team to make your stay the most comfortable with us. We are so happy you enjoyed your pool. "Excellent staff but dysfunctional room." Staff was very accommodating, but room was too small, light in bathroom was broken, TV was not connected, door to room could not be opened if closet door was opened, clothes were wider than depth of closet and were crushed by bi-fold doors, no handhold in shower (my wife had to take sponge baths because of equilibrium problems), no room for personal items around sink or in tub area, Kleenex and toilet paper not refilled. This was a wonderful Best Western. Clean, and convenient to where we needed to be. The outdoor and indoor was very clean and well maintained. The rooms were spacious and clean and very comfortable. Lots of pillows and comfortable beds. Very nice hotel, wonderful staff, great location. In room coffee, pool, breakfast.... very comfy beds. Would definitely stay here again. Front desk clerk was so nice, even though it was midnight! You will not be disappointed! We really appreciate your 5 Star review and are so happy you found our staff so friendly and accommodating. So glad you got to enjoy our beautiful outdoor pool! We hope you can come and enjoy our hotel again soon. The hotel was very nice and the bed was very comfortable. Loved the feel of the towels - not too fluffy and not too thin. Most of all, Dee Dee, the dining room attendee topped our visit. She made us feel very welcome, by being very friendly and accommodating. She asked several times to ensure we didn't need anything, but not at all overbearing. She was very informative of where to find food items and even made suggestions on making an breakfast sandwich. We felt like we were at a very hospital friends home. Thank you Best Western and thank you Dee Dee! We stayed here for our wedding in Livermore April 2017. Fire alarm was going off when we checked in due to repairs and them welding the water heater, but the staff was on it and turned it off ASAP.... pool was being remodeled. But overall not bad. Ashley, We hope you had a wonderful wedding and it was great meeting you! We were happy to accommodate you during this important time. Our beautiful pool area is fully remodeled now and open for the season. We hope to see you again when you are back in the area. I have had family that had stayed at this hotel in the past and recommended it to us because of the price and location and we couldn't have asked for anything better! DD from the breakfast area was welcoming and down to earth she made us feel right at home and the breakfast was good as well. The front desk staff was very helpful, Andrea, Debra and Diana stood out to my wife and myself. The only disappointment was the pool still being closed but understandable because of the season. Michael, We appreciate so much your positive review on your experience as our guest and, your comments on our employees and our updated hotel. Thank you for returning back to us and we hope to see you and your family again very soon. My intial opinion about this hotel wasnt a bright one but the front desk lady Andrea really made me feel upbeat. She was nice and very informal and I can say now I really enjoyed my stay here at this best western. It's not a luxurious hotel but can definitely compete to be one. Love the new remodel to the rooms. Wi-Fi and breakfast do the trick. To be close to the freeway it's still relatively quiet. Will be back really soon with a plus 1. Thank you Andrea. Keep up the good work!! Love the new walk-in shower with the glass door. Very clean, comfortable bed with European bedding and nice pillows. Easy access to highway, golf, vineyards, restaurants, and downtown Livermore. Love the big and bright lobby. Breakfast was nicely presented with a helpful staff. Thank you so much for your positive review and we appreciate your comments regarding your guest room. We are so happy that you enjoyed your stay and the upgrades we have made in our guest rooms and bathrooms. We hope to see you on your next stay! My husband and I stayed one night for a friends wedding nearby. Hotel and the room were clean and decent complimentary breakfast. Nothing much nearby but close to the freeway. Ample parking. Ask for a third floor room for quiet. Thank you so much for your feedback. We appreciate you taking the time to post your review of your experience with us as our guest. And, we are happy you enjoyed your stay. We hope to have you again, as our guest in the future. As we were making our way from San Francisco City to Yosemite National Park, we decided to make this hotel a sort of pit stop along the way as our base for a few days. The place was well-maintained and the room was large. It is not a luxury hotel by any means, but it was definitely comfortable. It could definitely do with better lighting though. Breakfast was good with a rather decent spread. Wifi speed was decent. Service was good although it felt rather understaffed at times. Shelley works at the front desk of the Best Western Plus Vineyard Inn in Livermore. She truly cares about her guests and will go out of her way to accommodate us. She's a main reason why I travel so far to stay there instead of the best western in Pleasanton. A real keeper! Way to go Shelley! And thank you for doing such a great job! Michelle, You are absolutely right in mentioning how Shelly goes the extra mile for our guests. Thank you so much for coming the distance to stay with us and we are so happy that your stays with us are positive and enjoyable. We look forward to your next stay! "Nice stay and excellent service by caring staff." We had a wonderful stay. The staff was excellent and went above and beyond to make our stay comfortable and enjoyable. I would highly recommended this place to friends. Andrea at the front desk was amazing in how she helped my wife with her disability. We will be back whenever we are staying in the area. We are glad you enjoyed your stay as our guest and thank you for your positive review and recommendation to everyone! Thank you for mentioning how Andrea helped you and anticipated your needs. She is highly competent at her position and very compassionate towards our guests. We hope to have you as our guest in the future! "Comfortable room- great for the price!" I came into town for the Livermore half marathon and stayed 2 evenings. I liked the location of the hotel and the room was clean , bed comfortable. The staff was really nice and friendly. I liked that the room had a fridge as I typically bring my own food for my pre- and post run needs. would stay here again if I run the race in the future. Great stopping point outside Bay Area and quaint downtown area with many good choices. Very clean, very helpful staff and comfy bed. I would definitely stay st this location again. Never knew a Best Western was so nice. Thank you so much for posting your review regarding your stay at our hotel. We are happy you enjoyed your stay and thank you for mentioning how nice our hotel is. We are very proud of our staff; plus, we have recently remodeled and updated all our common areas. Also, we are nearing the end of updating and remodeling all our guest bathrooms. We hope to have you stay with us again. I love this Hotel, I stay here at least once a month. Shelly at the front desk is great and always takes care of everything I need. The remodel is very nice. Rooms are great, very comfortable beds. Huge TV in the rooms with a great channel line up. We love to hear how you love our hotel! We have large screen televisions in each of our rooms, as well as refrigerators and microwaves. Also thank you for mentioning Shelly. She goes the extra mile for our guests and her talents at the front desk are very much appreciated. We look forward to seeing you on your next stay. I have stayed in this property multiple times. It is always super clean, quiet and comfortable. I like the placement of the modern shower head because I am tall. The free breakfast is very good. The folks on the front desk, no matter what time of day, are always a pleasure! Finally, in this day of many pet owners pretending to have a service dog, I appreciate that this property makes sure to honor real service dogs. I think this action keeps the property cleaner, too. "Staff was wonderful. Rooms were very comfortable." I stayed here with family for two nights and we really enjoyed staying here. Relaxing and the location made it even better. The price was a good value, everything is clean, and the receptionist Andrea was great and very helpful. I will stay here again next time i'm in town. "Nice place to stay for the value in Livermore. Clean and safe hotel"
This is a nice place to stay for the value, it's clean and safe. Staff was helpful and friendly. I would stay here again in the future for work. I wish I coild leave a shorter review on trip advisor. Great Hotel , pain in the $)[email protected]:; trip advisor site. Staff was horrible at check in and check out, but the room and value was great! I would stay here again but the staff was lazy and really needed some better customer service skills and the place would be A+! This is a great stop over on a business trip. Comfortable, clean and great staff. Being on the edge of town makes the location a bit quieter and less crowded but also is away from any shopping and restaurants. "Reasonable prices, newer hotel, convenient"
Often stay here when we visit Bay Area but don't want to drive back late at night to Sonora. Prices reasonable; convenient to freeway but no freeway noise. Parking ok. Rooms and hotel in good shape, feels newish. Has an elevator. Breakfast just OK. I've been staying at the 'Vineyard' Best Western two days a week for the last 3years and last year I stay for 2months straight. Shelly that works the front desk and in fact all the people that work there makes my stay there very pleasant and comfortable. I've stayed at a lot of hotels and motels and they all made me feel like I was just a tourist and I always felt like they didn't care if I came back again or not. If your ever in the Bay area around Livermore I highly recommend the Vineyard Best Western. When both my co-worker and I reserved this hotel ( we assist the CHP) while working in this area, I was very surprised to be welcomed and helped when we arrived. The front desk clerk was busy, so the GM Debbie Lamb came to the front desk to assist from her office, even though she was busy. She assisted us in a very timely manner. The room was very clean and comfortable. I recommend that if your in the area, try it out. I stay at the best western in Livermore regularly. The service here is excellent, The rooms are comfortable, the layout of the hotel is clean and comfortable. One member of the staff really stands out here. Shelly is at the front desk. Her personal service is amazing. She really cares about her guests. Shelly has bent over backwards to make sure our stay is comfortable. The whole staff is pleasant and helpful and care about there guests. I was on a business trip. When I checked in at around 4-5 pm I was exhausted. All I remember was the great night of sleep I had. The bed was very comfortable and the room was quiet. Thanks BW, I will stay there again! Hubby and I went to a wedding and decided to stay over night. We decided to pick a room with a Jacuzzi and a king bed. This was a first for us. And it was great experience. Glad Best Western provided a great AAA discount as well. We were on our way to SF and stopped here for the night. Very clean, everything worked, bed was comfortable. Some of the other hotels in the area had terrible reviews so we spent the extra few dollars to stay here and we are super glad we did. We got in around 2am and the staff was nice about it and had our keys ready. "Customer Service Over the Top!" My stay at this facility was wonderful, the staff was amazing." Shelly" at the counter exhibited empathy for me when I was seeking a football channel. She responded quickly and found the game I had been searching for. The staff is very professional and helpful everyone was courteous ,clean and welcoming. I will continue to stay here and would recommend this facility with very high ratings. This is a newer is renovated property and has some appeal to it. Unfortunately first room I was sent to had a pile of leftover takeout food on the drawers chest and the hand towels and soap had been used. Lady at the front promptly moved me to another room. Unfortunately, as I settled in and used the shower, I noticed that a used hand towel had been left hanging over the shower curtain rod. On top of this, the walls / adjoining doors have no soundproofing and you can clearly hear your neighbors. Beds are subjective, but these were very hard to me. On a positive note, the free wifi was very fast, 40mb up and 20mb down. I will not be staying here ever again. Stayed at the Vineyard Inn because some of our friends had decided to stay there during a weekend trip. We usually stay at Hampton and wish we could have in this case. The hotel was OK, but not up to our experiences at Hampton. Staff was courteous and the public areas and rooms were clean. The breakfast was what you expect. Our disappointment was with the comfort of the beds (too firm with no pillow top), the very poor lighting at the vanity, and the soap/shampoo amenities. The hand soap was a tiny 1 inch square and the shower was supplied with liquid soap, conditioner, and bath get dispensers. We prefer individual containers of these products. We had a problem with our bill, but Shelly resolved it quickly. Nice place, third time I have stayed here. Have had a few problems with low on towels when I checked in (did not get a wash cloth and lucky I got a towel) and hot water temp seemed to be low. Otherwise, staff is nice and apologizes. Facility is going through a renovation and it looks to be almost done. Will stay again, even with the little issues. "Easy Access to Hwy 580 on/off ramps"
We stayed here one night on our way to Disneyland because we didn't want to pay the huge parking fees in San Francisco. It was perfect because it was super-easy to get on/off the highway. It seems to be in a less populated and a little more industrial area. They had the typical Best Western breakfast included, which is great. They have hot options in addition to the standard Continental fare. Wi-fi is free and seemed to be plenty fast. You get pool towels at the front desk and the outdoor pool was perfect. I wish they had a a hot tub for evenings, or even better if it was inside. Our two queen beds were fine for our family of four and I always appreciate the AAA discount. We have stayed at this property several times and always have a good experience. They have always tried to accommodate our request for a quiet room. Dianna in the breakfast room was especially friendly and nice on our last visit. Rooms not clean, understaffed, noisy, hard to sleep, sinks that don't work, tiny closets that don't close & block exit door, (that can't be code), windows unlocked, etc., yet they're still happy to charge your credit card. No compensation, no, sorry for the inconvenience, nothing. Do yourself a favor & stay at La Quinta right next door. "All the ambiance of a big hotel"
This Best Western is a good stopping point for the northern part of California. It is large, three floors, and the rooms are clean and roomy. There is no spa, only a pool, which was a disappointment for us as we were so looking forward to relaxing in the evening. The staff is efficient and pleasant. The location is near wineries, but most of them charge a substantial tasting fee. Any restaurants or places of interest are a somewhat close driving distance. Late afternoon traffic, however, is a bear! It took us about 2 and 1/2 hours to go about 30 miles around 3:00 PM. Front desk were helpful getting us checked in and answering some questions we had. The room service the jury is still out but no one should have to chase down towels and soap for the room. Breakfast was good and fresh. The Vineyard Inn is clean and functional. It seems decorated on the cheap 60s looking motif. The beds are quite comfortable and the one place to sit, the couch in the room is far from comfy. The breakfast is OK and our large group all concluded that the coffee was bad and we needed to head to the closest coffee shop. "a little disappointed but they had a great pool"
We stayed here because of its proximity to a wedding venue. We stayed a total of 3 nights, and each night there was a problem with our card key access or confusion with the reservation and every person that I spoke to, was unaware of the conversation I had had with the other the day before. On the 3rd time, I had to come down with wet hair to explain the situation again while I was in the midst of getting ready for the wedding. The bed was comfortable enough, but the bathroom did not have vents which made for very poor air circulation. The breakfast was good enough. However, their outdoor pool area was outstanding. It really did make up for the other disappointments. There isn't a lot to write about regarding this Best Western, and that's fine. It's located on the edge of town, right off the last exit of the 580 freeway before it climbs to the Altamont pass. Don't miss the exit heading east, or you'll have to drive a while before being able to turn around. The hotel is fairly easy to find, and the setting is quiet despite the nearby freeway. There isn't a lot in immediate surroundings, and you'll need a car to get there and to travel to anywhere of interest. I arrived early on a Friday evening, and everything was quiet. The receptionist welcomed me, and I was on my way to my second-floor room very quickly. The room was decently sized, with neutral decor that could have been anywhere. The carpeting was a bit worn around the doors, but everything was perfectly clean. The king size bed was comfortable, and the air conditioning worked well on hot afternoons. I heard little noise other than a few heavy steps from the third floor. This property serves a typical Best Western breakfast buffet, with cereals, a few pastries, a waffle iron, scrambled egg rounds, and sausage. The breakfast area offers only about a half dozen tables, which is insufficient for a hotel of this size. There was not enough room for everyone to sit at breakfast, and the buffet's tight configuration left many guests standing around awkwardly while waiting for space to open for them. I had little interaction with the desk staff until check out, when there was a confusion over applying a travel card to my account. I had to leave quickly to catch a flight, so early morning receptionist promised to take care of it when other staff members arrived. The first e-mailed receipt I received was incorrect, so I called to check again. A short phone conversation solved the matter, as my credit card statement showed the correct total. My stay was unremarkable, and that's the point. With no surprises, there is nothing to report beyond a few comfortable nights. "BEWARE how you book a room at this hotel!" This is a lovely hotel in a great location - no problems with that. Only downside is that each room has one of those 1990's *exploding! *, water-saving johns. No kidding, flush that at 2am and your partner will jump right through a brick wall. The MAIN reason I'm writing this is to alert any and all: BE CAUTIOUS how you book a room here. I learned the hard way that booking through Kayak sent me to another site that charged me a PREMIUM for a room I could've paid 30% LESS for had I just called the hotel directly or booked with them online directly. I only learned of this problem when the hotel bill upon check-out was ONE-THIRD less than the amount I had already been charged on my VISA card. I spoke at length with the management at this Best Western Vineyard Hotel (Livermore, CA), and was told that I paid that premium for the *convenience* of being able to get a room. Um, how it is any more *convenient* to pay 30% MORE for a room booked by a service routed through Kayak vs booking directly with this very hotel is a mystery to me. So just be careful. You could get gouged like I was. Middlemen services can be convenient for some, but for me, I got zero benefit, and paid ONE-THIRD more on my room for the privilege of learning how rooms are sold. I was told these "gatekeeper" services buy rooms in bulk and charge customers a premium to book the room. I was even told "That's how they can stay in business." Sounds like a bad deal to me if we don't even know how much we've been overcharged. For me: lesson learned. Never again will I use one of those so-called booking services. This place is really nice. Shelly at the front desk took great care of us and made sure everything was handled. Too many times front desk staff just rely on the computer and don't make a good warm up front connection, but Shelly was all smiles and went above and beyond to make us feel welcomed. Good AC and clean place. Thanks again, we'll be back! Room was very nice. Neat and tidy. Everything you needed. Front desk staff was very friendly. Hotel conforms to the California water regulations. Coffee pot in room with packets of coffee and cocoa. Bathroom door had a hole on the inside on the bottom of the door but that did not diminish the door from doing it's job. (outer door was still in tack so it didn't interfere with door working properly or from providing privacy) Did have a little issue with check out trying to get our credit card charged. When we checked out the front desk said our bill showed $0.00 balance but we knew that couldn't be correct. 2 phone calls later after we got home we were finally able to get the credit card charged so that we could pay for the room. (It appears that the front desk didn't charge us when we checked out and it took 3 days for them to figure out the problem.) In the end it was a great hotel to stay at. They had an outdoor pool that we were not able to take advantage of due to time constraints but overall it was a nice hotel to stay in. "Wente Concert place to stay"
Friendly staff, clean room. comfy bed, less than 8 miles on back roads to Wente Vineyards for outdoor concert. Phillip Phillips and guests. Safe area on the outskirts of Livermore, close access to freeway and downtown. Amazing service at the best western hotel. the attentive staff was smiling not because they had to but because management does a great job. They have a nice pool, a little gym and the rooms are so comfy, well designed and the bed is like oh my god so comfortable. i have problems sleeping but on that bed I slept like a baby. We arrived late to a very friendly and helpful front desk clerk that had helped us find the hotel over the phone. On arrival and check-in, she quietly offered through me a cup of hot chocolate, my twins quickly accepted. We left early after a complete breakfast. We stayed here two nights at the end of our 9-day California vacation. This hotel is on the far east side of town, right off the freeway. You can hear traffic throughout the night, but it didn't keep us up. It is a pretty new hotel, so everything is fresh and clean. Our room was spacious and comfortable. The vanity area was small for our family of 4, but the separate toilet and shower was useful. The wifi was truly excellent (best wifi of any of our hotels on this trip) Breakfast offered a few hot items, as well as breads, bagels, muffins, yogurt, juice, milk, and coffee. There were some issues on our second morning with electrical shut-downs, but staff was busy trying to repair it as quickly as they could. We enjoyed the pool area, especially because we had it to ourselves. There is only a gas station within walking distance, but several restaurants and stores are only a few miles away. Great location neat the Livermore wineries. Near freeways with easy access. Staff was very helpful at check in and willing to answer any questions we had about the area. Room was very nice and clean. Breakfast in the morning was O.K. Due to the large number of guests seating was limited. I would stay here again. "Out of town stay for wedding"
Very good service. Nice location near Liverrmore winery.. Easy to find location. Breakfast was O.K. but had a small crowd in the eating area. Staff was willing to assist with questions. Would stay here again. I stayed here once before when they were remodeling. It was already starting to look really nice but now it is great. The staff is super friendly. Deborah was great in helping me apply a coupon I had earned for being a Best Western Summer program participant. The lobby and breakfast area looks so nice with the new flooring, furniture and tile. They have a great complimentary breakfast. My room was clean, spacious and the furniture/decor was very nice.The bed was awesomely comfortable! I had a larger flat screen TV, a medium fridge and a small microwave. The vanity area is outside the bathroom which I like. Even though the hotel is by a freeway, it was really quiet. I love this place! It can be pricey during certain dates but still less than some other places in the area. The pool area was inviting. Wish I had taken my swimsuit!! You should call ahead of time and reserve a room. They are popular. Hotel was overall adequate and comfortable. Internet service was not working at all during my stay. TV had a problem was fixed immediately. Air conditioning was not intuitive to operate but housekeeping assisted. The double queen room was clean and comfortable. With three of us there was plenty of room to move around and luggage was never underfoot. The staff was helpful and friendly with specialty service requests. The breakfast was self serve, with variety and plenty of options and coffee was available in the afternoon. Location was great for our needs. Excellent room and excellent, helpful staff. Yolanda helped me by carrying most of my luggage from my room to my car. This included one very heavy bag. The room was clean and comfortable. I highly recommend this hotel. "Beautiful Hotel and very quiet"
My husband and I stayed here to attend a graduation two days ago. The hotel is very quiet even though it is near Hwy 580. Breakfast was very nice, a lot of items to choose from. The beds and pillows well above the norm for a hotel. The hotel is beautiful and the air conditioner was so quiet and cooled off the room in seconds.The hotel is very modern and we thought it was brand new. Nope, just remolded and looks new. We would most definitely stay here again. Very comfortable rooms and nice TV. The staff couldn't have been more friendly, efficient, and caring to make our stay extremely enjoyable. Very comfortable rooms with good amenities. Nice breakfast and great WiFi. Quiet location, a bit off the beaten track, but close to freeway access. We recently stayed at the Livermore Best Western so we could visit the Livermore Valley area. Hotel nicely upgraded and very comfortable lodging. Very quiet room even with 580 in the distance. Staff very warm and welcoming. Morning breakfast a bit above the normal. We are looking forward to our next visit. "A quiet environment even with other guests there." A pleasant stay. Quiet, upgraded, clean rooms, and more renovation, however, we did not hear any noise from this. A pool area, not hot tub. An eating area, small in size yet this did not present a problem to us. New ideas for the continental breakfast set the breakfast behind, but believe they will get their groove going. We had to leave by 6:30 AM for a graduation which surprised them at 6:00 AM when we entered into the dining area. While sitting downstairs so our 2 year-old granddaughter could go to sleep for the night, we werre able to watch the TV, in the dining area and was helped by a truly service minded front desk employee named Reyauna. She was sweet, pleasant, helpful and accommodating to our needs while we waited for our granddaughter to sleep. She even turned the radio speakers down in the dining area so we could hear the TV and not be disturbed by the music. Comfortable seating in the lobby area as well as the 2nd floor lobby area. The marble floors in the elevator waiting area and elevator were nicely designed. A very nice stay for any occasion. We stayed one night before returning to LA from a visit to Napa, giving us a jump start on the drive south. Easy trip from Napa, even late on Memorial Day. The room was clean and price reasonable, with a quite adequate breakfast included. This is a waystation, not a resort sort of place. A bit outside (east) of the main town facilities so 4 stars, but that was what we wanted anyway, given that we had breakfast onsite and needn't drive backwards for it. "room next door being renovated"
we were put into room next door to a room being renovated. the first morning, the smoke alarm in the hallway went off because of excessive dust in the hallway. the second morning, the hammering woke us up in the room next door. This renovation was scheduled and management should know better than to allow any room next door to be used. They thought of their own profit above our comfort so I would not stay here again. "Great staff and nice place "
Clean and comfortable rooms. Could use USB charging stations in the rooms. Lots of channels on the room flat screen. Only issue was that the room trash was not emptied daily, nor were the wash rags and towels replaced - may be a water shortage issue - but that doesn't account for not emptying trash. Be sure to get an even numbered room (non-580 road side). 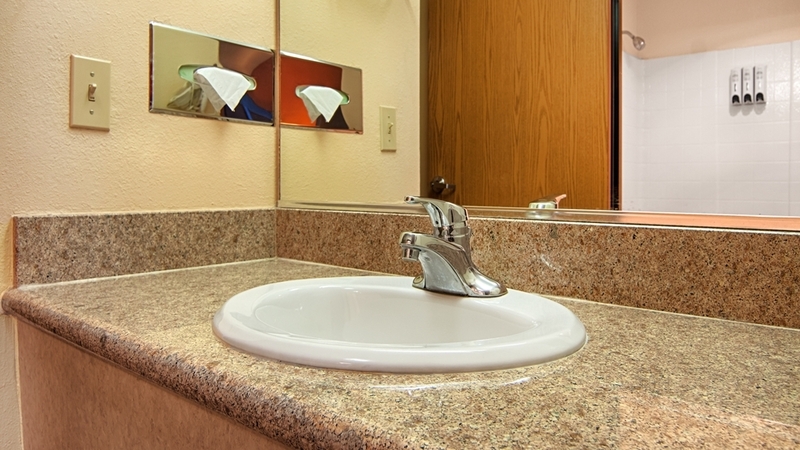 The rooms are always clean, food is always great, and the staff is always friendly at the Best Western Vineyard Inn. Shelly is by far the most knowledgeable and helpful person when it comes to finding answers. She was very helpful and patient with my fiance and I during our stay here. My utmost appreciation for her kindness and hard-work. 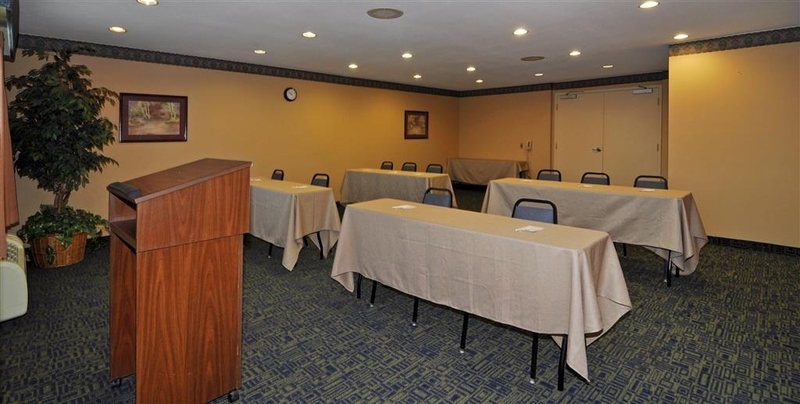 The room was clean and quiet, the personnel very courteous and helpful. They also offered a "Grab and Go" breakfast which included yogurt, a piece of fruit, a granola bar and a bottle of water in case you had to depart before the 6 o'clock opening of the breakfast bar. The hotel was nicer than I expected given that the price was very reasonable for the Bay Area. The bed was comfortable. It has a basic breakfast. The scrambled eggs were not tasty but they had English muffins and surprisingly very good coffee with half and half. I stayed at this hotel during my business trip. There was a mess up with another hotel stay so I had to move to this and actually was glad it turned out this way. The room was comfortable and modern looking. The bed was super comfy. Staff friendly and accommodating (the manager was able to check me in before 3 pm). Breakfast was good. The only thing was that the walls were pretty thin so I could hear people in the other room and the air condition could not go below 68 but overall it was a good value for the money. I would definitely go back. I stopped here for the night on the way to Santa Rosa. Very conviently located right next to Hwy 580. The standout at this hotel is the staff. The gentleman who checked me in at the front desk was genuinely nice! Not phony polite but actually nice! And the same is true for every single person on the staff who I encountered. The room was clean and comfortable and very quiet. The parking is conveniently close to the doors as well. I didn't have their breakfast but I did see the dining room and it was a great room. There was a variety of foods and lots of seating. I highly recommend this hotel to travelers. Thank you so much for taking the time to let us know about your stay. Best Western, as a brand, has made great strides in bringing today's guest what they are looking for in a hotel. Here, at the Vineyard Inn, we are dedicated to being #1 in customer service here in the Livermore area. We offer a reward program for our employees who demonstrate superior guest service and I will let Shelly know that she is being rewarded for your positive mention of her! Thank you, on her behalf, and from the rest of the staff here at the Best Western PLUS VIneyard Inn! Night front desk manager was very helpful. Got me my room right away.. I only slept for 5 hours and left. Grabbed a great cup of coffee from the very nice breakfast attendant and was gone. Very easy to find and close to the on ramp and off ramp. Makes it easy for those of us who travel on business. "Pleasant stay at the Best Western"
We stayed at this hotel for a wedding. We stayed Wednesday through Sunday and found the rooms to be very nice, the staff friendly and helpful, and the breakfast a nice bonus. Would definitely stay at this hotel again. "Our Business trip to Livermore"
The staff and accommodations were excellent! Great value for the location and time of year we were there. We arrived earlier than check in time and they were happy to provide an early check in for us. Great place to stay Shelly at the front Desk was super nice and helpful. The bed was comfortable and the internet was fast. Enjoyed the Breakfast as well. I stay there often as it is close to the DOE Laboratory. The Best Western hotel in Livermore is superiorly nice and well appointed with spacious rooms, refrigerators, microwaves, and very comfortable beds. The front desk staff at the Best Western hotel in Livermore are second to none. They are very professional, well dressed, couteous, and very polite. I have to give a special shout-out to Manuel. Shout-outs also to Debbie, front desk manager, and Felicia, Imelda, Reyauna, and Sheri. I highly recommend this hotel to anyone looking to be treated well. Nothing makes me happier than to hear when someone sees what I see every day - the friendliest hotel staff around! 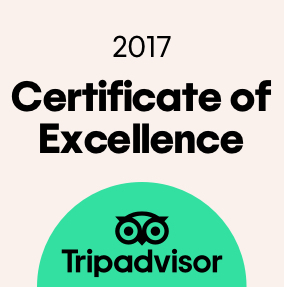 Thank you so much for taking the time to acknowledge them on Trip Advisor! We hope to see you again soon. Family stay while visiting friends nearby for the weekend. The hotel was clean and beds comfortable. Breakfast was included, with a reasonable choice. The staff were friendly and helpful. The hotel is near the freeway so inevitably there is traffic noise, but it was not too intrusive. Like almost all the hotels in the area, we have sacrificed a little seclusion for easy, convenient access. Our windows, however, are a superior product that eliminate most traffic noise. I'm glad to hear that you were not bothered with noise and that you had an enjoyable stay. Thanks for your positive comments and we look forward to seeing you in the near future! Nicely kept property. Friendly front desk staff. Enjoyed the breakfast - good variety of food was offered. This property is a good value. You get a lot for the price. I would definitely recommend this to others. Thanks for taking time from your busy schedule to let us know that you enjoyed your visit here at the Best Western Plus Vineyard Inn. It never gets old to hear it! Hope to see you in the future! We stayed for 2 months here. All the staff were wonderful. They made us feel part of the family, always taking care of us at breakfast and greeting us with a smile. The room was comfortable for sleeping and safety. When I checked in I found that there was some renovation being done in the lobby but everything appeared clean. The front desk was very nice and proceeded to check me in, telingl me my room number and the location of it etc. When I got to the room I felt it could have been cleaner. There was a strong unpleasant smell and the bathroom could have been cleaner. At 10;30 PM my phone rang in the room! It was a man that had been standing near me while I was checking in...a complete stranger! Asking me out for a drink! He heard my room number while I was being checked in! I did not feel safe and Best Western needs to be more discrete while checking in their guest! This is how bad things happen to people. I left first thing the next morning. I sincerely apologize if this was the case. We have a strict policy that we never verbalize a room number. The front desk has been trained in this important security measure that we all are supposed to practice. Unfortunately in a incident such as this, we are probably not dealing with the most credible individual and may never know for sure how the breach occurred. There might possibly be another explanation; maybe they saw you come in or out of your room, or called your room randomly, etc. However, we have taken this very seriously and have gone under the assumption that this was an error by one of one of our staff. We have revisited our policies and procedures for keeping our guests safe. We have used your situation as an example of the importance in following our rules that are set in place. I would like to talk to you about this further please call the hotel and ask to speak to the General Manager For anyone that may find themselves in a similar situation, this is the type of incident that it is extremely important to contact the front desk about. There would be steps that could be taken to ensure your safety for the duration of your stay. Thank you. Accomodations excellent. Staff nice and professional. Hotel in a safe location. Great value. I always stay at this hotel when I am in Livermore. It has easy access to the freeway but it is tucked away and safe. Everything that you might need on a trip is within a short distance. It is a home away from home. Best stay ever at a BW property! Under rennovation at the time, but a staff & management team that went above & beyond what most hotels at this level will do to make sure your needs are met. Will enjoy returning after rennovations are complete. Check out their special "honeymoon" suite for any special occasion...or just to get away! I stayed in this hotel on 01-23-16 (Sa), after attending the Ambrosia concert in Pleasanton the same evening. Problems with the hotel abound, including: 1. The TV in the room was all screwed up. When switching channels, it normally took between 5 and 10 seconds of blank screen before the picture came on. Sometimes it did not come on at all. 2. The drain plug in the bathtub did NOT work (it was one of those "push down" kind that NEVER seem to work; why don't hotels STOP using those, for chrissakes !!) so I had to take a shower instead of a bath. 3. The rod holding the shower curtain bows way out in the middle too far away from the tub, so consequently the curtain will NOT stay hanging inside the tub when you take a shower, so the bathroom floor gets all wet. How UTTERLY STUPID is this design, and what were the people who installed it POSSIBLY THINKING ? 4. The orange juice at the continental breakfast was so watered-down it was totally flavorless, but my experience with hotels is that this is standard procedure. Has there EVER been a hotel continental breakfast in which the juice was NOT watered down ??? This Best Western is going through some nice updating as you will notice when you come through the front doors. The staff is very welcoming and friendly. My room was very nice, the bed comfortable. Microwave, fridge and a large flat screen TV in a good size room. Now if the guy in the room next to mine wasn't snoring so loudly, it would be perfect. I did have trouble with the WIFI signal. "Decent, but probably would stay elsewhere next time"
The room walls are VERY thin. I could hear the entire conversation of the people in the room next to us. Also, while they are in the process of remodeling their lobby, and it looks like their bedroom was remodeled, they really skimped on the bathroom. There is no counter space at all; the tiles looked old and in all honesty, I'd compare it to looking like a gas station bathroom. It was clean, but VERY outdated and not convenient at all. This is the 2nd stay & highly recommend the Vineyard Inn. Being the slow time of year, there was some remodeling going on, but we were never inconvenienced. Problem with the room keys, but the front desk was very helpful & sorry. I had trouble sleeping on the large & firm pillows, but was brought a smaller pillow when I asked. Breakfast was not perfect, but hot & good tasting & free!! "Need more counter space in the bathroom!!!" We stayed here for 2 nights to attend a wedding at Garre Winery. The room was small. The heating/cooling unit under the window was pretty much touching the second bed. The bathroom was lacking. NO COUNTER space at all in the bathroom...just a stand-alone sink). Had I known this, I may have opted for another hotel. It made getting ready in the morning and for bed quite challenging. The lobby area was nice and the front desk lady was friendly as well. There was complimentary breakfast available (hot and cold)...eggs and sausages on Friday...omelettes and bacon on Saturday. There was also cereal, yogurt, fruit, and pastries. Typical beverages coffee, tea, OJ, apple juice, milk. Our first night there, we all got into bed around 10pm...ONLY to be woken up by our next door neighbors at 1:30AM with LOUD talking and laughing. My husband said he was going to call the front desk, but I told him not to. However, by 4:00AM, we've both had enough. Luckily our children stayed asleep...but having to get ready for a wedding that morning, I decided it was time to call down to the front desk. The lady said she'd call the room and ask them to quiet it down. We heard the phone ring next door. They were quiet....FOR A GOOD 10 MINUTES....THEN it was back to laughing and talking until about 7AM!!!!!!! Needless to say, my husband and I were DEAD TIRED for the rest of the day. They did have free breakfast...continental type and a couple of hot items like bacon and eggs. This hotel served its purpose for our trip, but I would not stay here again. We were here for 1 night on our way from Yosemite to SF. The room was amazing and the service we received was better than any other hotels we were at during our trip. Breakfast was great, WiFi was working.. nothing could ruin it for us! We recently stayed at this property to attend a wedding nearby. The attentive staff and cleanliness of the hotel far exceeded our expectations. Considering the shuttle service to the event and the complementary breakfast, the value was tremendous. Although the internet could use an upgrade, I would definitely recommend this hotel again. After a long week and a long day of traveling, we checked in to the hotel with Shelly. She made us feel welcome and is a very pleasant lady. She was helpful with everything we needed. We highly recommend the Best Western Plus Vineyard Inn in Livermore. This is a great hotel to stay in Livermore. Very close to the city center and the vineyards. Also very close to San Francisco premium outlets. The rooms are clean and confortable. Breakfast is nice but the room is small so sometimes you have to wait to be seated. Lots of parking spaces available and many restaurants and stores around. The only negative point is the internet that is too slow. If I were a woman traveling alone I would not stay here. They keep the lights down low and some off. We were on the second floor and only a few lights were on, very dark and not welcoming. The next morning I told the desk person/manager that the lights were out and she said they are used to the sunshine so don't need them, but that is ridiculous. Hallways don't have sunshine especially at night. She turned on the downstairs hall light for me so I could use the rest room before leaving. I noticed that by the time we got to our car, she had already turned them off again. They use a time on the light over the sink, so sometimes the light went out. As for aesthetics there were broken wall tiles in the breakfast room and falling off the wall. The place looks kinda dumpy due to this and the poor lighting. We won't stay here again. The breakfast was good and the cleaning staff and breakfast person were very nice and did a good job. Wifi was poor very slow. The hotel location is in the middle of nowhere, I can't fault the staff for that though. The interior decor, comfort and cleanliness of the hotel was great. Even though it was right off the freeway we didn't hear freeway traffic (a bonus) and it had a nice heated pool. Having a hot breakfast the next morning was great and the food was much better than many other breakfasts we've had at hotels. Check in was quick, check out was quick and every staff member was pleasant and very helpful. 1. The neighboring rooms are separated by a thin door. You can hear every noise from the next room - voice, TV, etc. 2. The internet is painfully slow. 3. At the checkout I was told I would receiving the bill confirmation by email. Ok, next day - no email. Called, they said "You should receive it tomorrow " ! It's slower than snail mail! My family stayed here for a wedding. The hotel was average and breakfast was good but the seating was very limited. The front doors did not open automatically so it made it very difficult to open the doors and push the luggage car. When I got home I noticed that I my wife and I were over charged and I called to have it corrected but the man at the front desk and a lady told me I would need to speak to a manager. I called for several days trying to reach a manager and they were never available. I finally called and spoke with Andrea at the front desk and she said the manager was not in but if she could help me with my problem. I explained my situation and she was able to correct it immediately. Andrea was very courteous and knowledgeable, and a definite asset since the managers are never there. it was a great weekend. and i appreciated the best westerns help.they were very friendly. we needed a shuttle to go back and forth to the venue where ceremony was and that went smoothly.the hotel was clean staff friendly and quiet . it is located next to freeway but still quiet in rooms. so the reason for a circle gone. making the reservations sometimes was a little difficult many times I called noone ansered phone and no voice messege.. I needed to call for other guest for the wedding..so just keep calling if that happens to you.they are very friendly in person and helpful for the price it was a great choice..they helped make a magical wedding for my daughter.. Came for niece wedding. We had many family members in town for the wedding and stayed at the Best Western PLUS Vineyard Inn. The hotel was super clean and staff was friendly and helpful. They even offered their shuttle to take and pick up people for the wedding that was 5 miles away. That was a huge plus! We stayed at Best Western Vineyard Inn this past weekend for a wedding. Manuel at the front desk was excellent in accommodating our entire family. I would recommend this hotel to anyone needing to stay in Livermore. "Good location, comfortable room, good breakfast"
Wonderful updated hotel, excellent service, very well located. Consistently thoughtful friendly staff. Easy access to freeway, Vineyards, restaurants, shopping. Shuttle to group events in area was provided. Reliable internet service. "Nice, clean, with a good breakfast"
I went to Livermore for a meeting. This hotel was a bit out of town so walking into town could not be done. The room met all our needs. I would stay there again if I needed to be in Livermore. A shuttle into town would have been nice. We werepart of a group of out of towners who stayed here to attend a wedding. Nice pool area. Firendly and helpful staff. Lots of variety in the breakfast offering. Would stay again if i had to go to this area for any reason. We stayed here based on location to Wente Vineyards to attend a concert. The property is very clean, comfortable and the staff was fantastic. We felt welcome, appreciated, they were very helpful with directions. The only down side is the area is noisy, adjacent to the highway, but ultimately you can close the window and turn on the fan. The breakfast was fine, it was very clean and a good selection. Overall, very pleased and would stay here again.